Hi Kids. 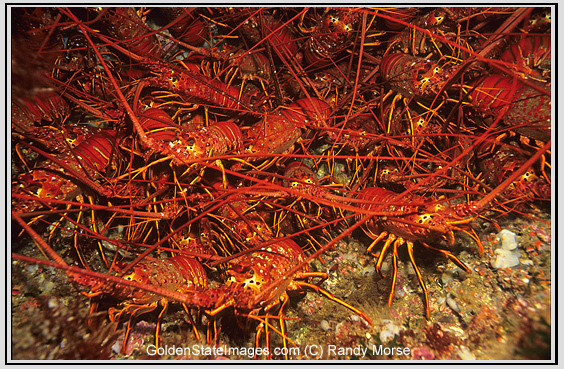 It’s lobster time again here in the southern California bight and with divers massing to make their first jump at midnight(and last at God knows when), let’s take a minute to think before we stride. I’ve put together a list of gentle diving suggestions that might help make this a memorable and/or enjoyable experience. Diving at midnight is just a horrible idea. You’ve worked all week and hustled home to get your ship together to make an island-bound boat or meet up with your buddies to ply the local waters. Then you end up waiting around to take life sustaining equipment into the dark recesses of the Pacific at a point where you would normally be in bed. Why? Tomorrow you can dive at 7:30 pm and be home by 11. 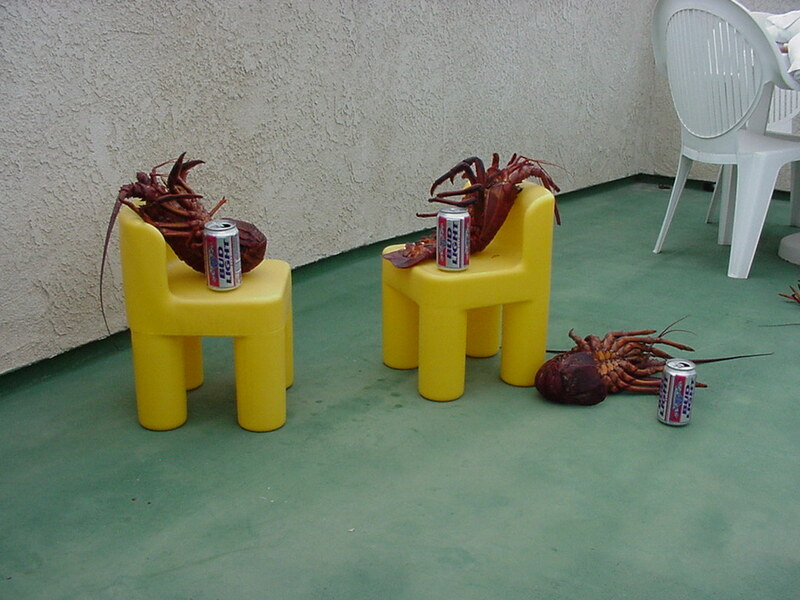 Camaraderie and seafood is overrated. Anyone who tells you that the big bugs are hiding beneath the bull kelp is lying. They are not there. They were never there. They will never be there. They are also not really deep. Don’t be a diving shmuck. They are by the same spots you saw them hiding back when you dove the same area during the daytime. It’s not a race. Bug fever is anti-social behavior. Shoving people by the gate doesn’t help get you any more lobsters. It only makes you a douche. Relax. It’s a big ocean. If you’re standing at the gate wondering why you are getting ready to take a giant stride for your 3rd dive of the night at 3:54 am, turn around and take a forward roll into your bunk. Sleep to dive another day. I know this may take some of the romance out of opening night but it’s a long season. Pace yourself and enjoy it. I think it was Lloyd Bridges who famously said “He who sleeps and snuggles away can always dive on Saturday.” Or maybe it was my 3 year old daughter. Either way, if you head out, be safe and follow the rules. No bug is worth getting a ticket or said ticket punched for. This is what Saturday looks like after an all night hunt. You resort to drinking bud light. Yuckitty. Previous Previous post: It’s Coastal Clean-up Day 2015! Next Next post: A New Year’s Dive Report —- The Ocean is Closed!